The U.S. soccer team won the Women's World Cup final in Vancouver on Sunday, defeating Japan by a score of 5-2, making the win a record third World Cup title for the national team. 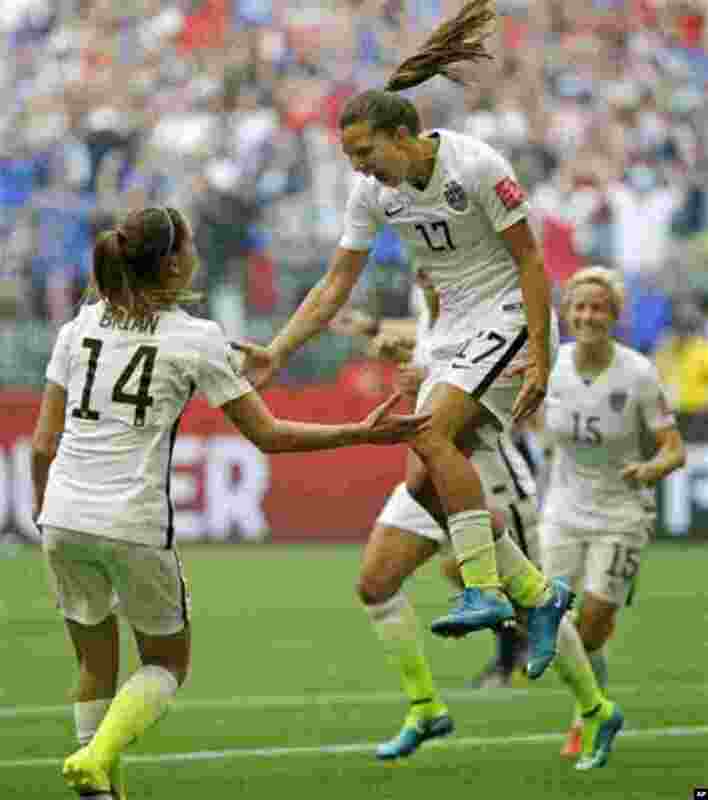 1 United States' Tobin Heath, center, celebrates with Morgan Brian, left, after Heath scored a goal against Japan during the second half of the FIFA Women's World Cup soccer championship in Vancouver, British Columbia, Canada, July 5, 2015. 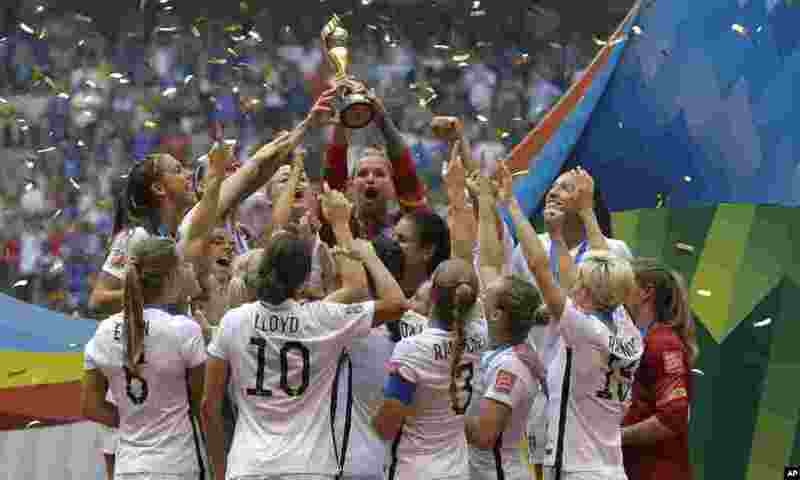 2 The United States Women's National Team celebrates with the trophy after they beat Japan 5-2 in the FIFA Women's World Cup soccer championship in Vancouver, British Columbia, July 5, 2015. 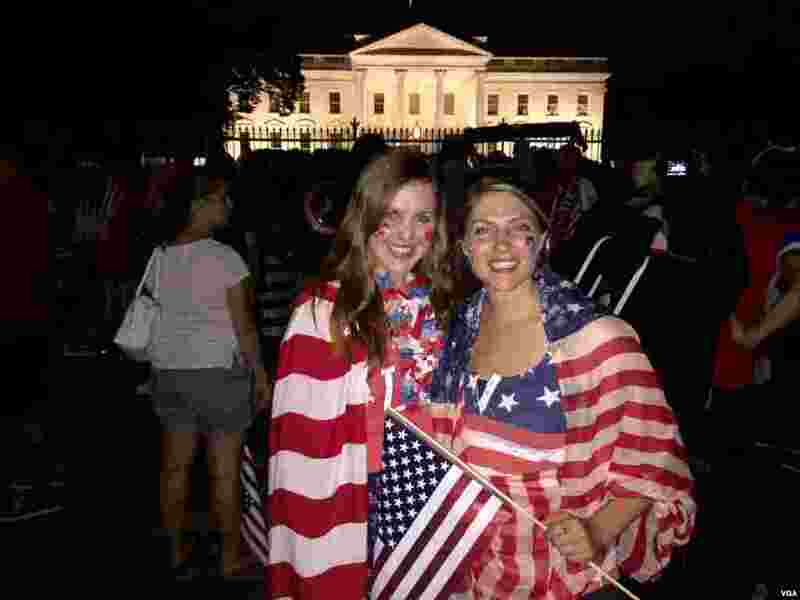 3 American soccer fans Laura Neff of California (left) and Kayli Westling of Wyoming (right) celebrate the U.S. women’s national team World Cup final victory with the American Outlaws outside the White House, July 5. 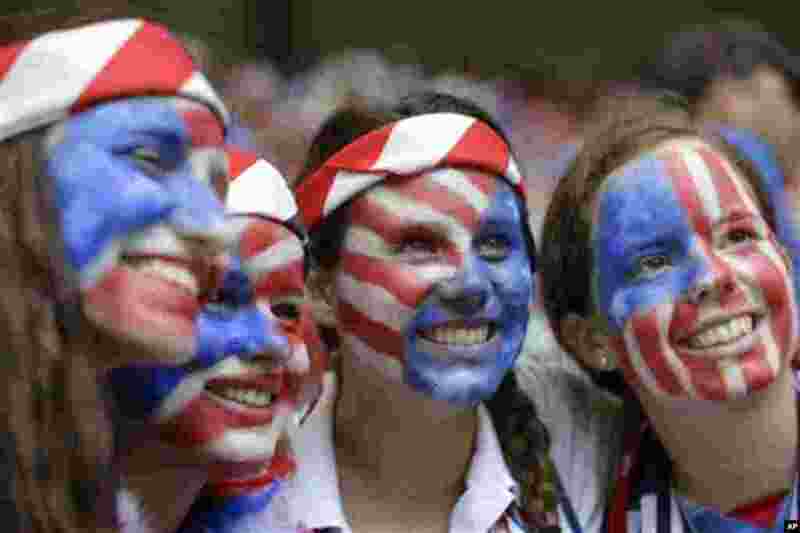 4 Fans of the United States with painted faces smile in the stands before the FIFA Women's World Cup soccer championship between the U.S. and Japan in Vancouver, British Columbia, July 5, 2015. 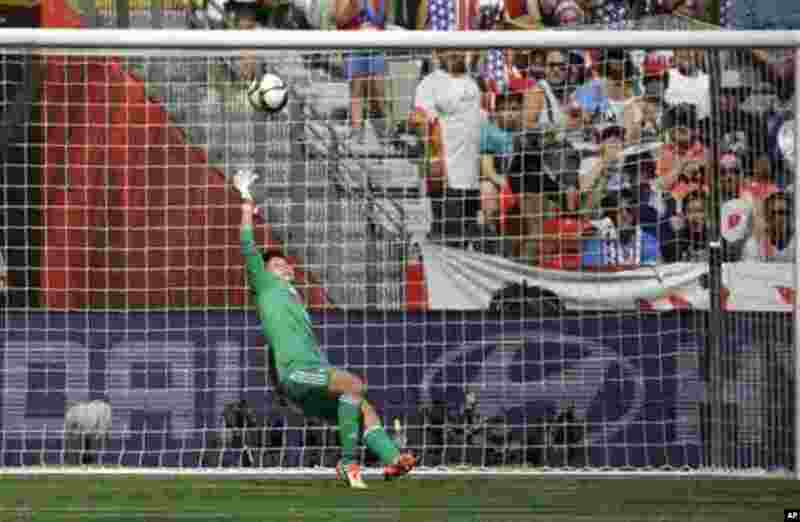 5 Japan's goalkeeper Ayumi Kaihori tries, but can't save a goal scored by United States' Carli Lloyd during the first half of the FIFA Women's World Cup soccer championship in Vancouver, British Columbia, July 5, 2015. 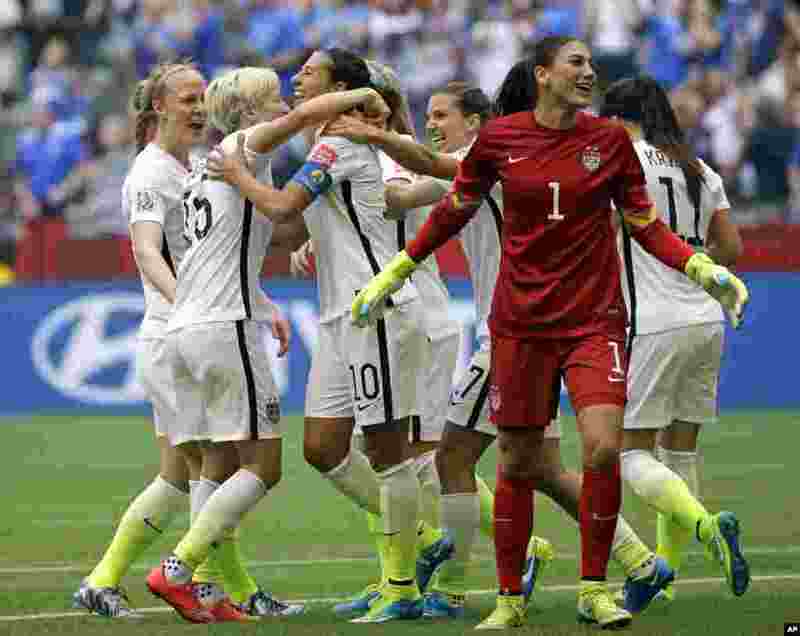 6 United States' Carli Lloyd (third from left) celebrates with teammates, including goalkeeper Hope Solo (1), after Lloyd scored her third goal against Japan during the first half of the Women's World Cup soccer championship in Vancouver, July 5, 2015. 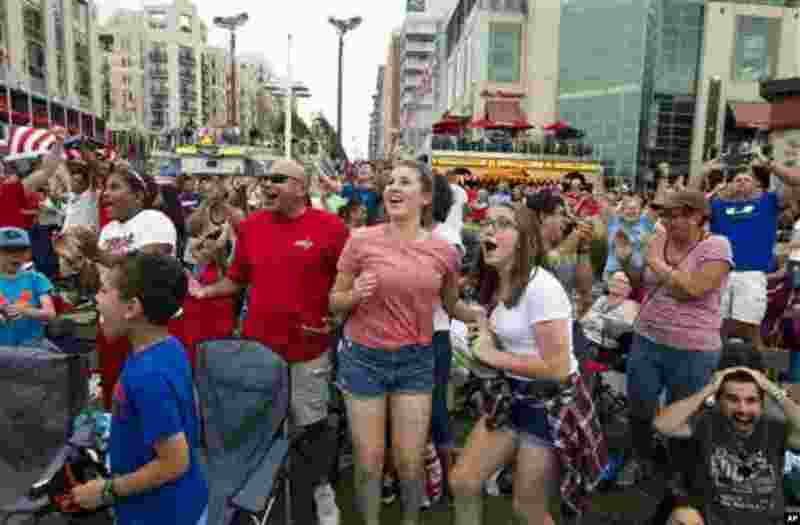 7 Fans celebrate after the United States scored their third goal against Japan during the first half of the FIFA Women's World Cup soccer championship, National Harbor, Maryland, July 5, 2015. 8 The United States Women's National Team celebrates their World Cup win after they beat Japan 5-2 in the FIFA Women's World Cup soccer championship in Vancouver, British Columbia, July 5, 2015. 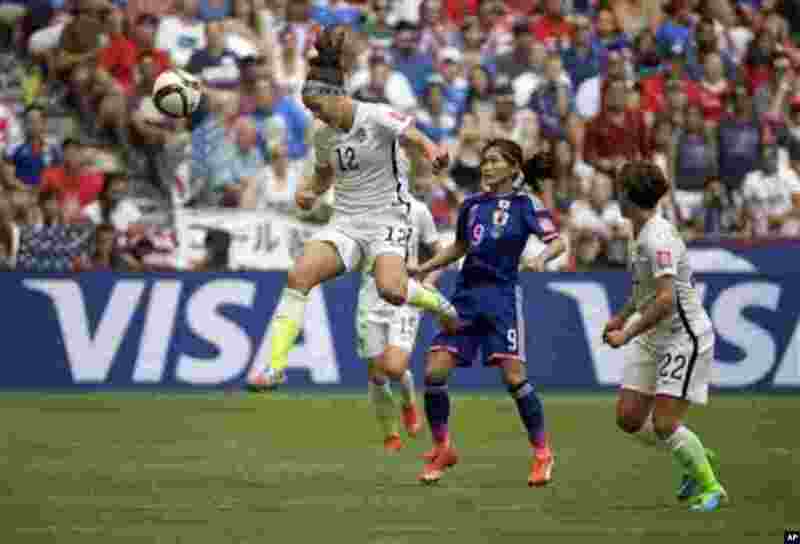 9 United States' Lauren Holiday (12) heads the ball above Japan's Nahomi Kawasumi (9) during the first half of the FIFA Women's World Cup soccer championship in Vancouver, British Columbia, July 5, 2015. 10 The United States Women's National Team celebrates with the trophy after they beat Japan 5-2 in the FIFA Women's World Cup soccer championship in Vancouver, British Columbia, July 5, 2015. 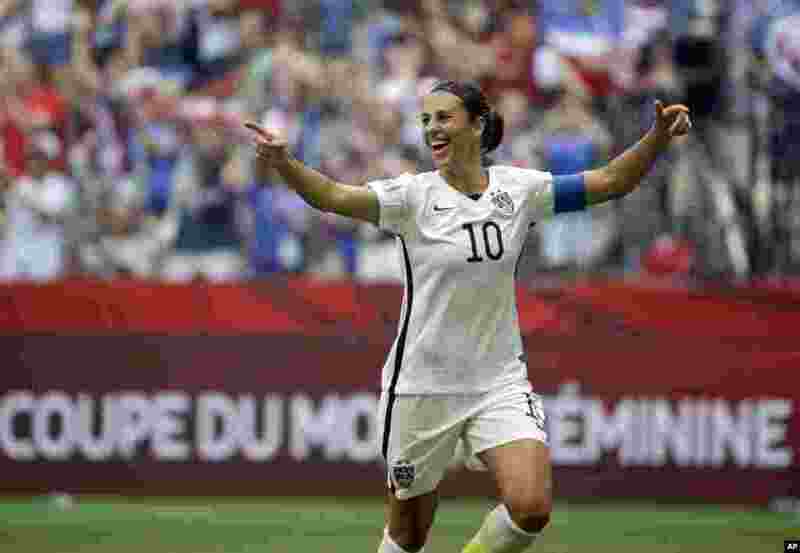 11 United States' Carli Lloyd celebrates after scoring her third goal against Japan during the first half of the FIFA Women's World Cup soccer championship in Vancouver, British Columbia, July 5, 2015.